I’ve watched a few movies in the last couple days since Netflix here in Costa Rica started putting a little tag on the movies if they’ll be expiring at the end of the month. All three of these are in that category. 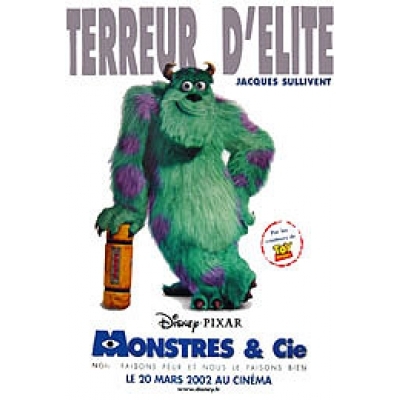 It’s a bit hard to see, but apparently Sully’s name in the French version is “Jacques Sullivent.” Celine Dion must be stopped. When You Probably Saw It: 10 years ago, like everyone else. Comments: This is supposedly a kids movie, but it’s also a Pixar movie, so of course everyone loves it. We also liked it quite a bit, since the whole core concept was pretty unique. When You Probably Saw It: In the early- to mid-80s, hopefully at a sleepover. Comments: This wasn’t really scary, but it was definitely freaky. I know that with today’s special effects, monsters have gotten more and more elaborate and “scary,” but I was surprised how nasty this monster was. And they did this 30 years ago, so I imagine it was a disgustingly wonderful revelation then. When You Probably Saw It: Any time between 1960 and now. Comments: I can’t believe I’d not seen this movie before. It was really good, and it didn’t have many of the things I don’t like about older movies (although it did have pointy bras and an over-acting psychologist who explains everything at the end by using unnatural hand gestures). 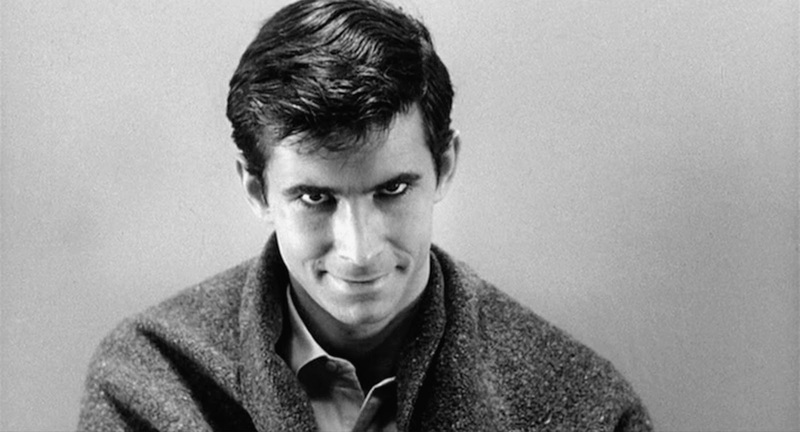 Anthony Perkins was indeed great, too. I was surprised that such a simple premise could effectively fill a whole movie. Like The Thing, this must have been even more amazing when it first came out. What about you guys? Have you indeed seen these movies? This entry was posted in Review, Ryan and tagged Monsters, Movie, Psycho, Review, Ryan, Scary, Sitzman, Thing by Ryan. Bookmark the permalink. I didn’t see it when it came out, but I’m still amazed and intrigued by “The Thing.” One of my favs along with that GI Joe reenactment. I thought it was equally scary and freaky. Those creatures are pure nightmare fuel and the overwhelming sense of paranoia is palpable. Thought i saw “Psycho” but maybe just the classic scenes. You might want to check out “Hitchcock” which stars Anthony Hopkins as the titular director and his struggles to get said movie made. Hey Mike! Thanks for the comment. I’ll have to check out that Hitchcock movie, then… have a good one!